I spent the last two weeks in Scotland (this image was on the Isle of Skye) roaming around taking pictures…It was nice to get out of the studio. This is the view from my room at the B&B in the the first morning of my stay. This is a digital image that I converted to Black & White via Lightroom where it was cropped and the contrast adjusted. This is another in my antique postcard series. 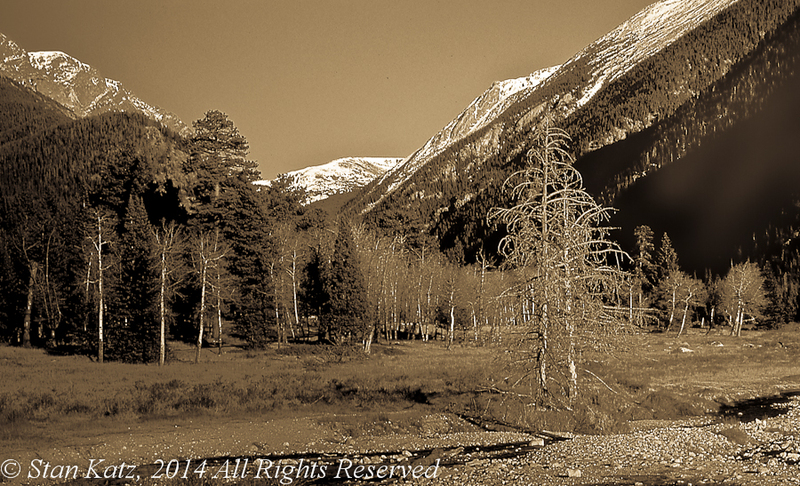 This image was shot in the alluvial area in Rocky Mountain National Park, a place where the landscape seems a little different. I wish there would have been some clouds to add a little drama. This was shot on Ektachrome G100e slide film. It was scanned into Lightroom where the contrast and exposure were adjusted and the image was rendered to monochrome via a Lightroom preset. The Image was cropped slightly. This image shows an angry clouds approaching, creating drama as we wait for the thunder and lightning. This is another in my series of antique postcard images. The idea behind this image was to capture very simple lines with varying textures used in a traditional scene. 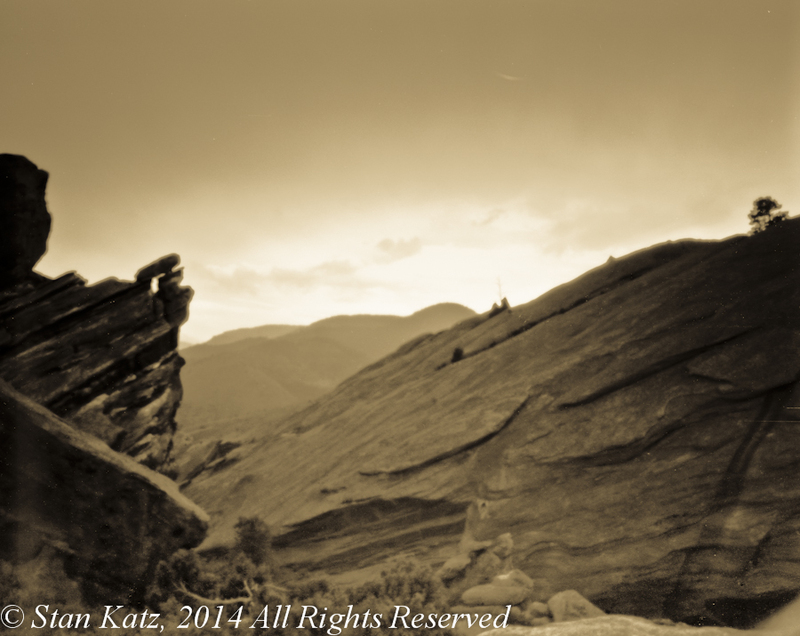 The use of a sepia tone to make it reminiscent of an old postcard but have the composition of a modern image. This image shot on a high speed negative film, that was processed to a positive image. 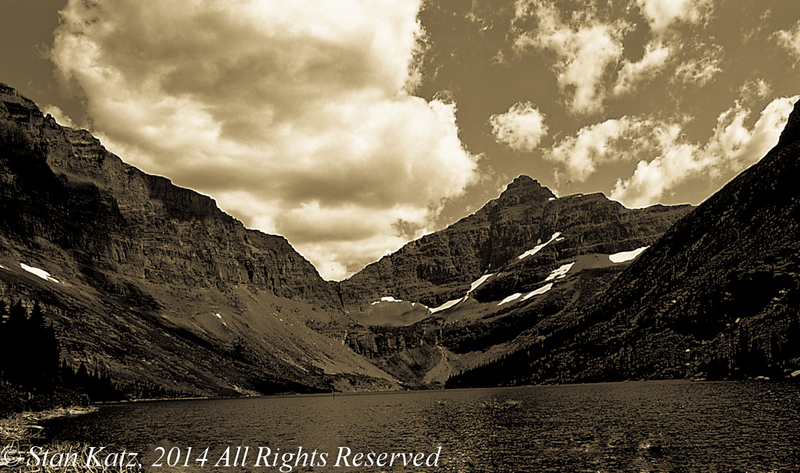 It was scanned into Lightroom where it was cropped and toned sepia via a Lightroom preset. This image fits in well with my series of pictures that could be found on old postcards. This was shot with a 120 pinhole camera that I built. This image is not as sharp as a landscape with a modern camera and lens. I shot this image with Adox CHS 25 and developed it in HC-110 Dilution H in order to boost up the contrast a little. 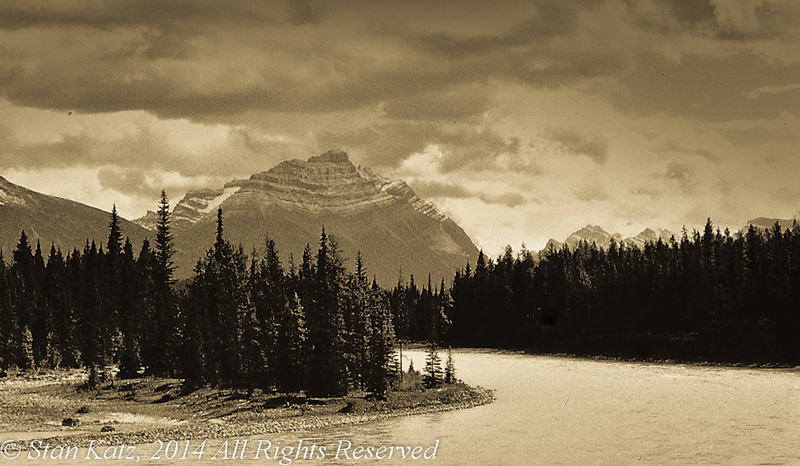 This image was scanned into Lightroom where contrast and exposure were adjusted and the antique tone was applied. This is the third in a series, of taking images from my archives and making them look like an old postcard. I’m looking for gallery representation.